Headquartered in Malaysia, InfoConnect specializes in information and content management solutions. InfoConnect’s solutions cover document capture, archiving, and process management. 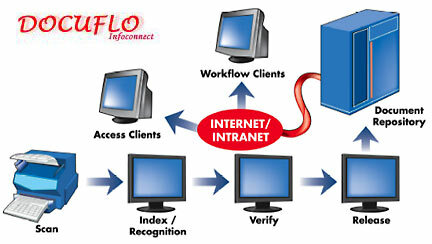 Its flagship application is the Web-based Docuflo document management and collaboration application. Docuflo offers full scalability, integrating with existing applications and databases for enhanced functionality. The application provides document scanning functionality as will as importing of existing files into a central repository. Other features include: organization of documents in cabinets / binders; document versioning; document collaboration; workflow management; and disaster recovery. InfoConnect has helped organizations of all sizes improve their business processes and profitability. Its customers include many large multinationals, including DHL Worldwide Express, Great Eastern Life Assurance, ING Insurance, Unilever and government agencies.